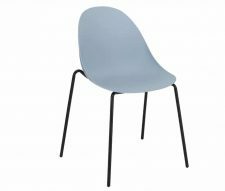 Plastic vs. Aluminium Cafe Chairs: Which is Best for my Business? 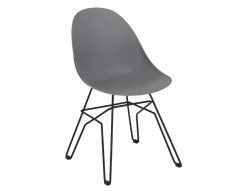 Home Page | Tips & Advice | Plastic vs. Aluminium Cafe Chairs: Which is Best for my Business? 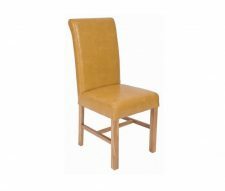 The choice of seating for your cafe or bistro is likely to be governed by three critical considerations: cost, practicality and style. 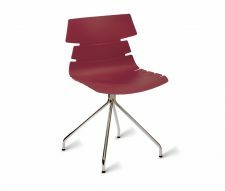 For those who are looking for commercial furniture which provides the best balance between all three of these elements there are two clear options for your selection of cafe chairs: plastic or aluminium. 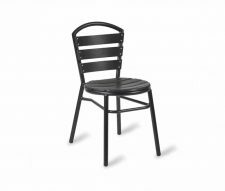 Polypropylene seating has a number of benefits for those looking for a hardwearing and practical cafe chair choice – especially if your bistro or eatery has an outdoor seating area. 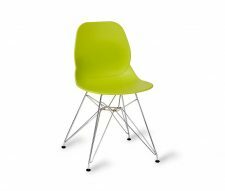 Firstly, modern plastic chairs are highly robust – able to happily shrug off knocks, bangs and impacts that commercial furniture is far more likely to receive while in constant usage. 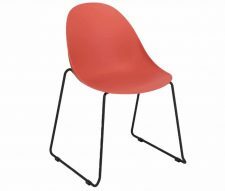 Forget those memories of the flimsy plastic garden furniture of yesteryear – polypropylene cafe chairs are a far cry from the wobbly and breakage-prone seating you remember. 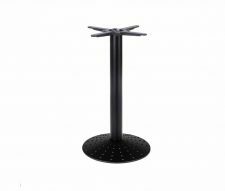 With high density construction these are a seating option that can take a beating and still come out looking good. 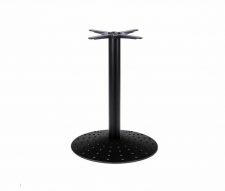 Polypropylene plastic seating is also both lightweight and naturally water-resistant – the latter of which enables it to shrug off the effects of the kind of sudden downpour the British weather tends to specialise in, while the former means that they can be moved, rearranged and stored with ease. 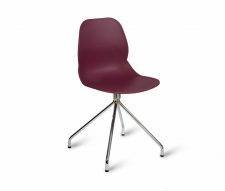 Available in an array of colours, attractive styles and practical finishes there’s sure to be a plastic cafe chair to match your interior (or exterior) design ideas. 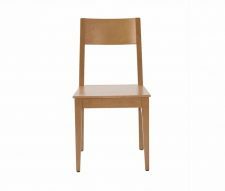 If there’s a downside it tends to be in the fact that plastic has somewhat of an image problem – frequently being considered a ‘cheap’ option. However, with modern manufacturing techniques and stylish designs this is fast becoming a non-issue. 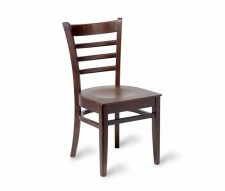 If you’re looking for a great balance between practicality, cost and longevity then plastic cafe chairs are a serious contender. 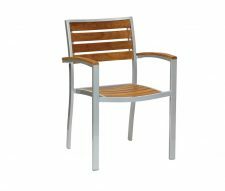 Somewhat of a stalwart for outdoor seating areas, patios and Al Fresco dining spaces, aluminium chairs are a familiar sight in the hospitality industry. 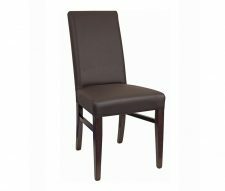 Popular for their robust, yet lightweight construction, metal commercial furniture is the ‘go-to’ choice for many cafes and bistros when it comes to chairs that look equally good inside a venue as outside. 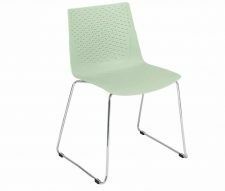 Aluminium chairs are available in a range of styles – either with an all metal construction or incorporating other materials, such as wood, fabric or rattan, when it comes to the seat and back rest. 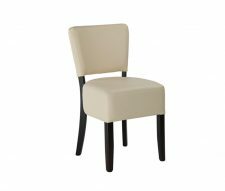 This allows for a wonderful ability to tailor your choice of appearance to achieve a look which elevates your cafe and bistro from a casual eating place to something a little more individual. 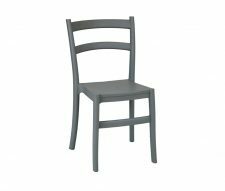 With such a range of positive advantages in their corner drawbacks for aluminium cafe chairs are few and far between, with only their slightly more expensive cost and lightweight nature in windy conditions counting against them.